Three Children with Toys, oil on canvas, c. 1926, 30 x 36 in. 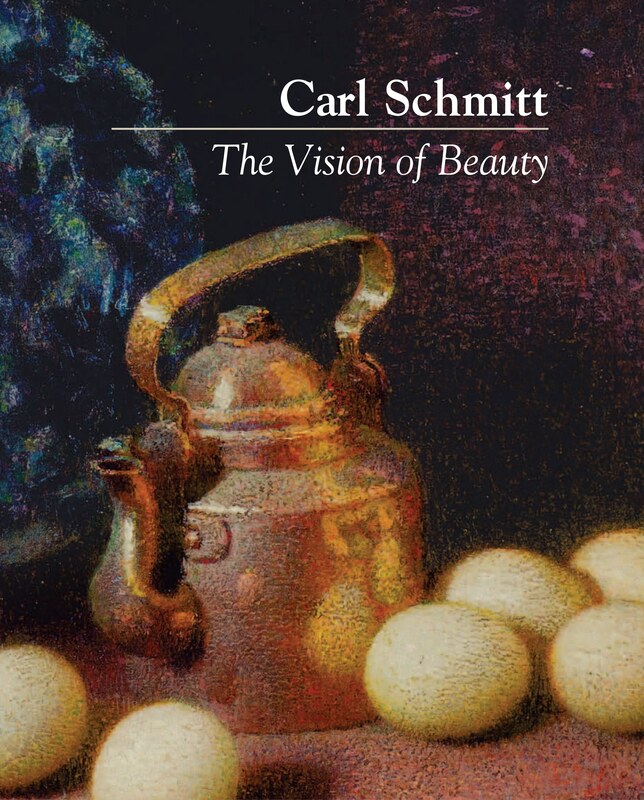 As we saw in our last post, Carl Schmitt saw the creation of art as a “symbolic story.” It is the story of man’s search for God in all things—of seeing “beyond things” —and conveying this vision in an artistic medium. At this point, Schmitt’s thought takes an unexpected turn: he identifies this power with the imagination. We are used to thinking of the imagination as the conjurer of fantasy, the creator of fictional worlds and fantastic creatures. Fundamentally, however, the imagination is the power to make mental images: it works with the memory to form pictures of things that once were or to “imagine” things that never were or could be. What is startling here, and is key to his whole aesthetic vision, is that Schmitt sees the record of the life of the soul not in terms of concepts but precisely in terms of images. In this sense he calls the imagination “the physical counterpoint of the soul”: it records or “images” the life of the soul. Although Schmitt goes on to say that “the varieties of rhythm are infinite,” he identifies three principal currents: the lyric, epic, and dramatic. This takes us full circle to the “threes” discussed in one of our first posts, “Carl Schmitt’s Vision.” There we outlined Schmitt’s seminal idea of the triune “realities of the imagination”, the lyric, epic, and dramatic. It cannot be overstated how fundamental this “triune thesis” —the interplay of lyric, epic, and dramatic—are to Schmitt’s thought. In various forms it appears again and again in his reflections on fine arts, and by extension in discussions of history, politics, and religion. The thesis forms the backdrop of virtually every substantial essay recorded in Schmitt’s notebooks over many decades. A selection of these essays can be found at the Carl Schmitt website, and we will be exploring many of them in upcoming posts. This entry was posted in artist, childhood, imagination, origins means ends, triune thesis and tagged artist, childhood, imagination, life, lyric epic dramatic, rhythm. Bookmark the permalink. Thank you for letting us know. I’m very sorry to hear that. Mr. Caserta was a very accomplished violinist and cellist who studied at the Julliard School of Music before playing with the National Symphony, and then with Philadelphia Orchestra for twenty years (1956-76) under the legendary Eugene Ormandy. Carl Schmitt knew him when he lived near his home in Silvermine (southwestern Connecticut) in the early 1930s.